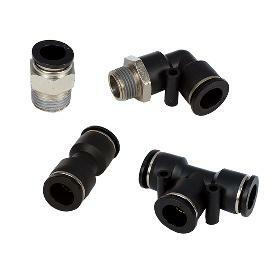 Pneumadyne’s composite push to connect fittings (or push-in fittings) are a quick and convenient method of connecting components in a pneumatic system. 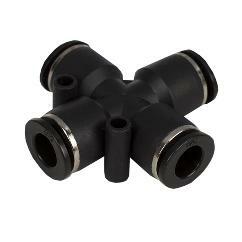 Designed for use with polyurethane, polyethylene, and nylon tubing, our composite push-in fittings are available in a variety of sizes to accommodate tubing ranging from 1/8 OD to 1/2 OD. 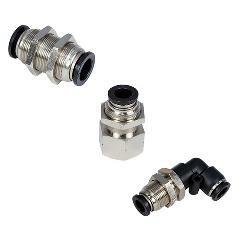 Numerous configurations are available to meet your connection requirements. 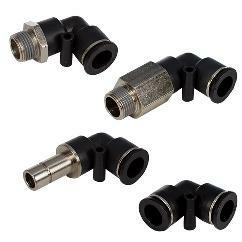 Pneumadyne offers composite push-in fittings in a range of styles and configurations, including straight connectors, elbows, tees, bulkheads, reducers, union crosses, union branches, and plugs. 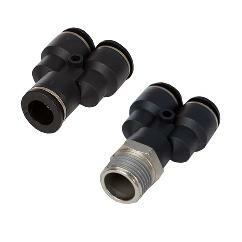 All models feature an oval release button that provides a larger surface area to make tubing disconnection easier than standard round-style collets. 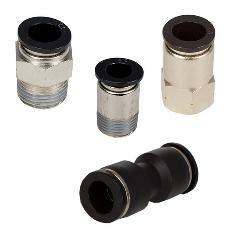 To ensure a leakproof fit, thread sealant is standard on all male pipe threads. 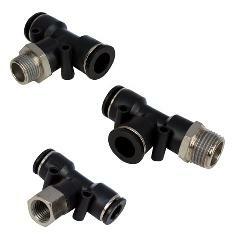 Models with 10-32 UNF threads feature a captive O-ring for a superior seal. 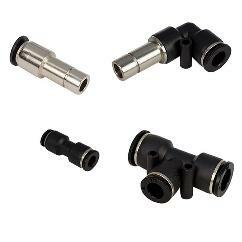 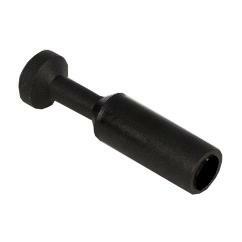 Order today or request a quote for composite push to connect fittings. 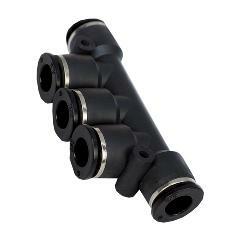 Contact Pneumadyne for more information.